Homeowners selling their houses may in future have to provide information about radon levels in the building to potential purchasers. The measure is one of a number of recommendations contained in the Government’s National Radon Control Strategy. 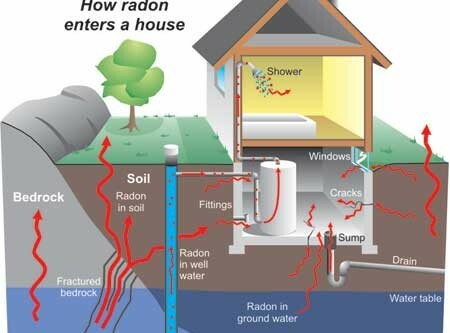 Radon is a colourless, odourless, radioactive gas caused by natural decay in the ground. It is estimated exposure to it accounts for approximately 13% or 250 cases of lung cancer in Ireland each year. Two years ago, Minister for the Environment Phil Hogan commissioned a strategy to address the problem. The report, published yesterday, recommends targeted training courses for building site staff and inclusion of information about radon on undergraduate construction courses. It says to raise public awareness those selling property could be required to provide radon information to potential buyers. It also suggests the introduction of tax-based financial incentives to encourage radon testing and remediation, and the introduction of some form of means-tested financial assistance to help people cover the cost of protecting themselves from radon. Minister Hogan said he will set up a co-ordination group to examine how the strategy can be implemented and the financial implications of doing so.